Why not try a fairy theme for your hen party with one of these hen night fairy costume halos. The simple headband is very discreet and the halo is kept in place by the strong wire frame. The feather fascinator design will create 'fairy' nice photos and is also a great way to keep your hen do in the lime-light. 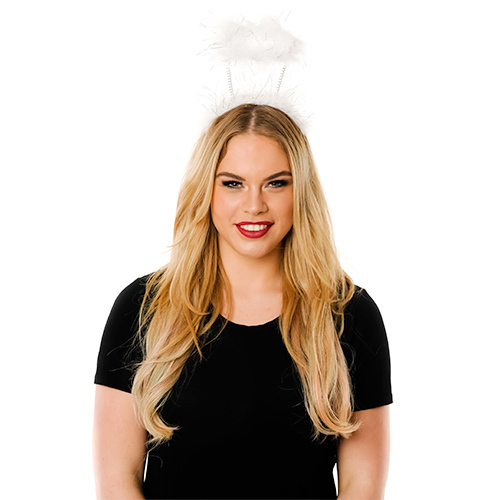 So, transform into a fairy princess with one of these white feather halos and get casting those spells for a magical ending to your fairy tale hen party. "These are pretty but they flap about abit, great for the price though." "These are amazing! Really chuffed with them!" 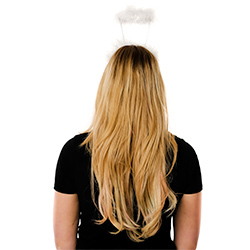 "Some were broken when we got them"
"Excellent Product, Well worth he money :)"
"I bought the halos to wear as part of angel costumes for an adventure race. They lasted the whole 3 hours (very comfy to wear) and looked amazing in the photos!" "The halo was easy to wear and looks great on couldn’t wish for better. Thank you." "Really impressed with the quality for the price and it looked fab and stayed on well on the Bride To Be while paintballing- though she did get shot at a lot- can't think why!!" 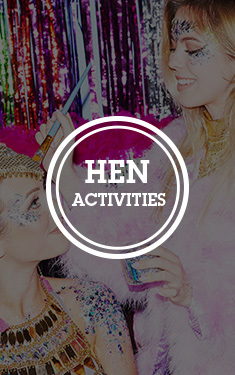 "Went down a treat with our hen parties!" "We ordered halos for a charity event that we were holding!" "Beautiful! I also made everyone wear blue this night, with the Hen in white we really did look like angels. They also travelled really well after being shoved in a suitcase." "Great price, fitted a treat." "Halos were really cute and not too tacky at all."